Have you seen or heard about Roselilies? I’ve seen some double lilies similar to these once before at New Covent Garden Flower Market, but never in a florist shop. When I was in Holland earlier this month, I came across them on the Zabo Plant stand at one of the trade fairs I visited. As they’re a little unusual, I thought today that I’d share my photos of two varieties that I captured. Not only do they have double petals, a more subtle scent that normal lilies and a good vase life, but they’re also pollen-free! So, there’s no worrying about pollen staining your clothes when you’re handling or brushing past them. The pretty variety above and directly below is called Roselily Fabiola. And this variety below, with slightly different coloured petals, is called Roselily Natalia. 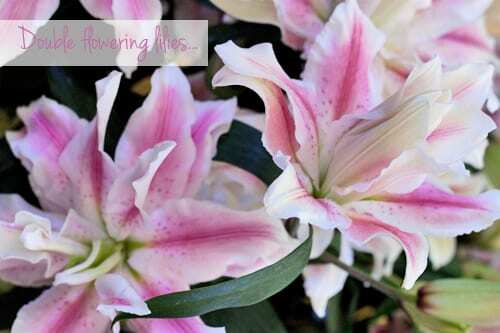 Lilies normally have six petals and but Roselilies have a minimum of eighteen. 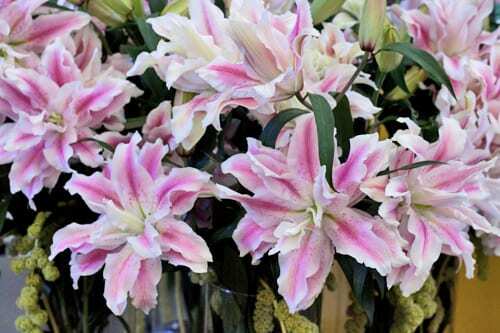 They’re also available in white varieties including Roselily Carolina and Roselily Annika. 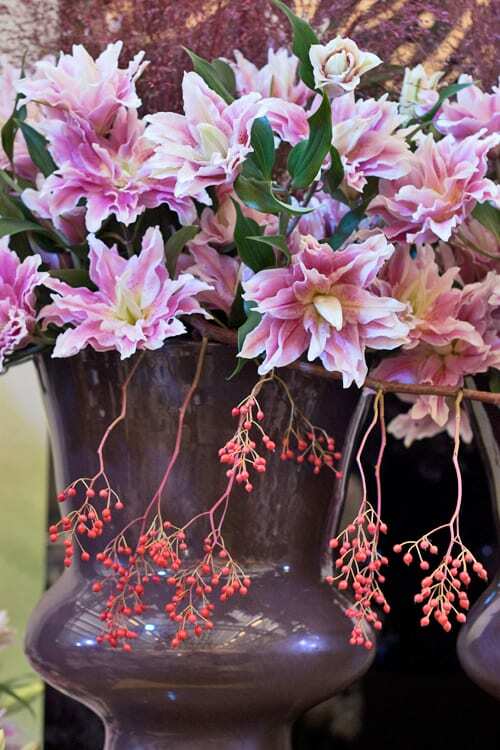 I think they’re really unusual and would certainly be a talking point…either in your home or florist shop. What do you think about Roselilies? P.S. If you’d like to read more about Roselilies, here’s a great website and Facebook page. Do you recognise this vibrant green flower? Announcing the #UnderTheKalanchoeSpell Competition Winners! This flower is so pretty! Lily’s my mother favorite flower and I am pretty sure she would be overjoyed to receive a bunch of these roselilies! And I didn’t know that pollen-free flowers did exist. That’s quite an interesting concept. Roselily Natalia is striking & makes a real statement, but, is it just me or do they look a bit naked ?